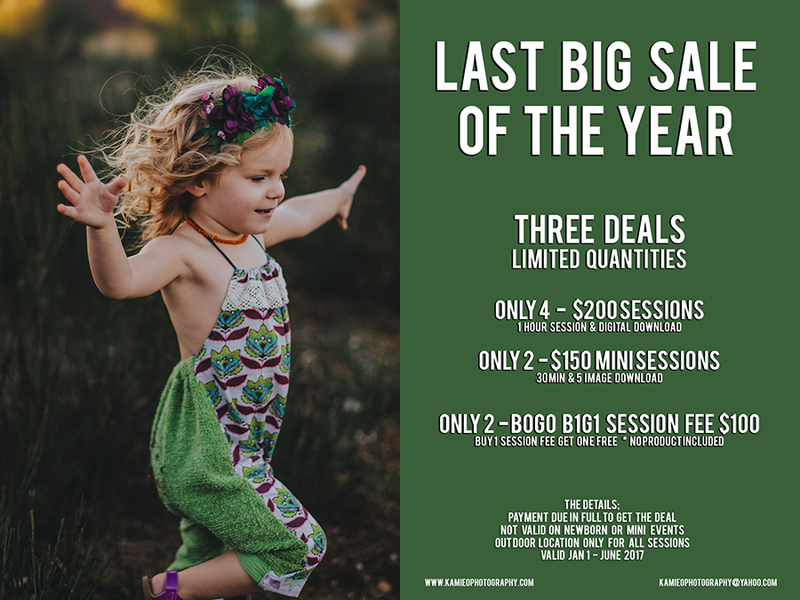 One last HUGE sale before the end of the year! Sale ends Dec 31 or when they are sold out. No product included, Session fee only. Purchase the deal you would like from the link below. Not Valid on Newborn Sessions or mini events. 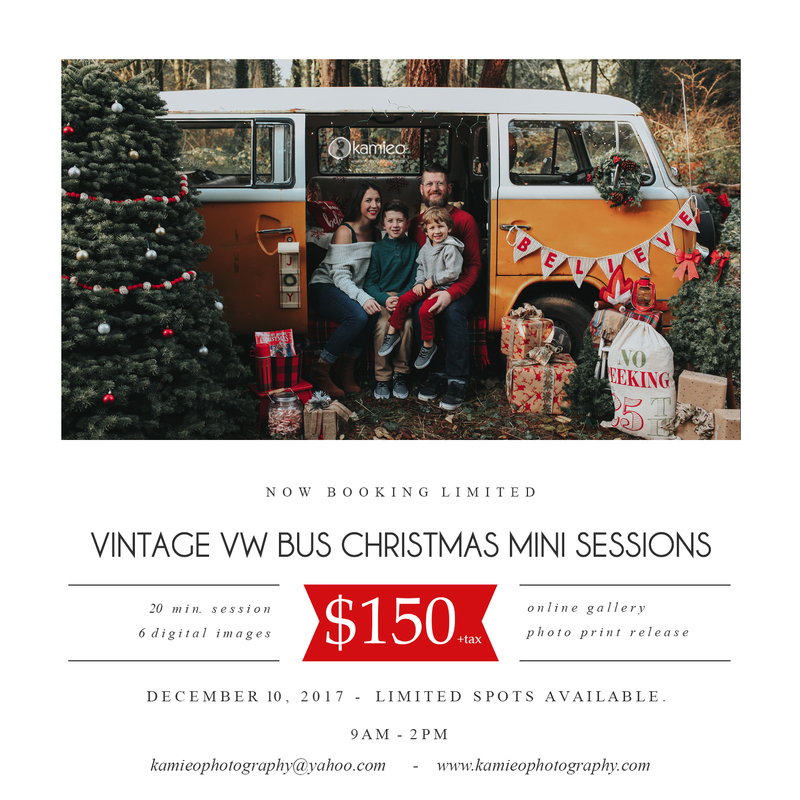 Outdoor Location only for all sessions. 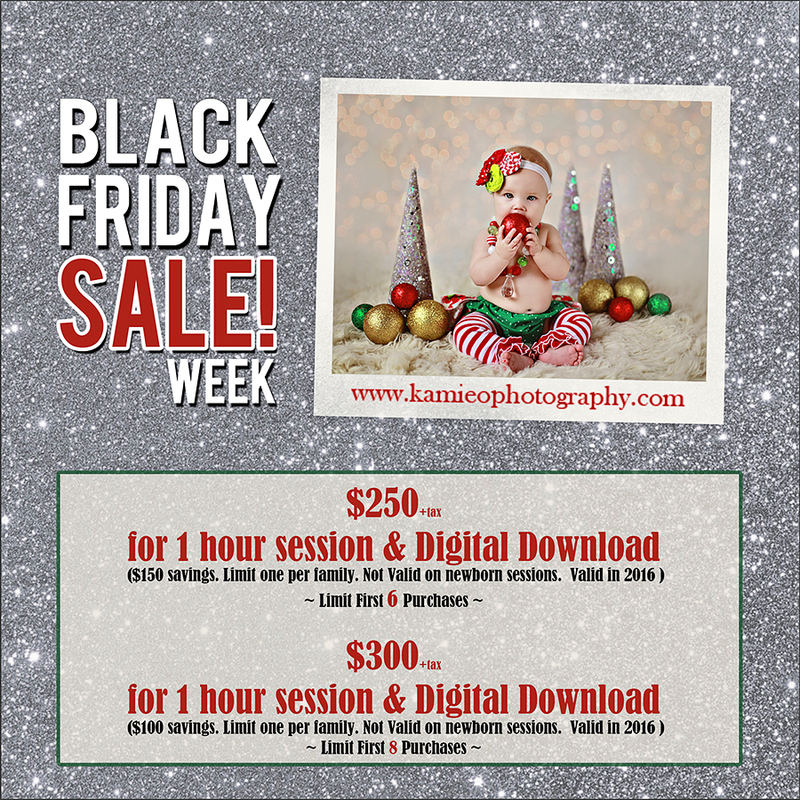 Black Friday Week Long Sale! 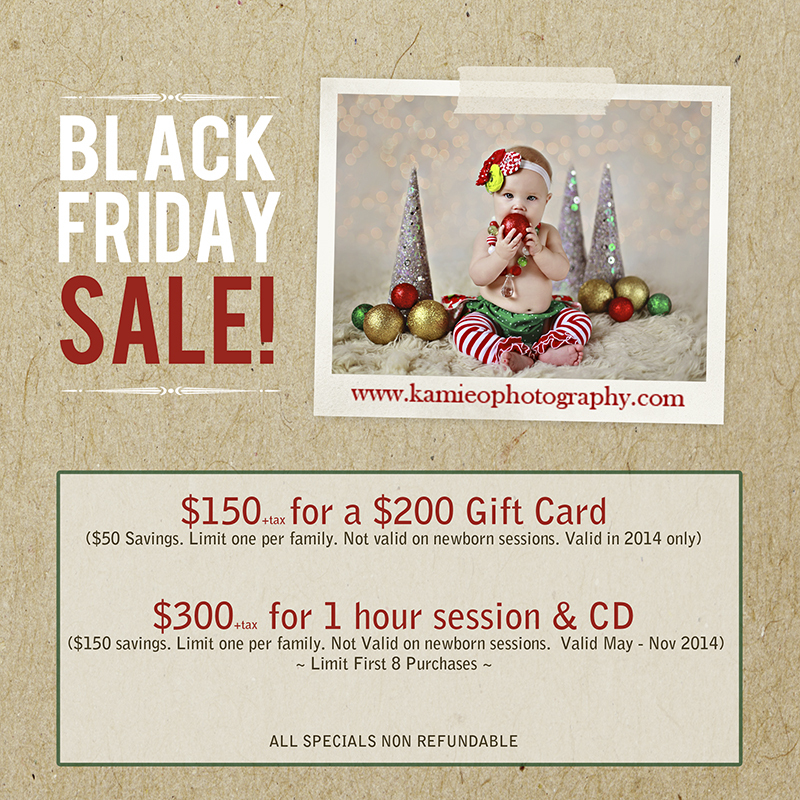 To schedule email kamieophotography@yahoo.com or click on the contact form here on my website. To purchase the Gift Card Sale… Please use paypal button below. No physical gift card will be given. I will be keeping a record of the purchase. 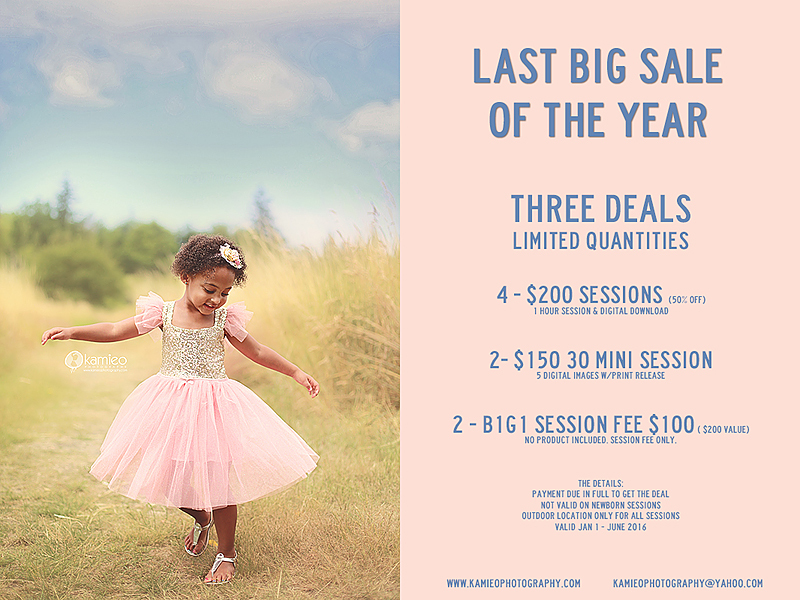 To purchase the Session Special Sale… Please use paypal button below. 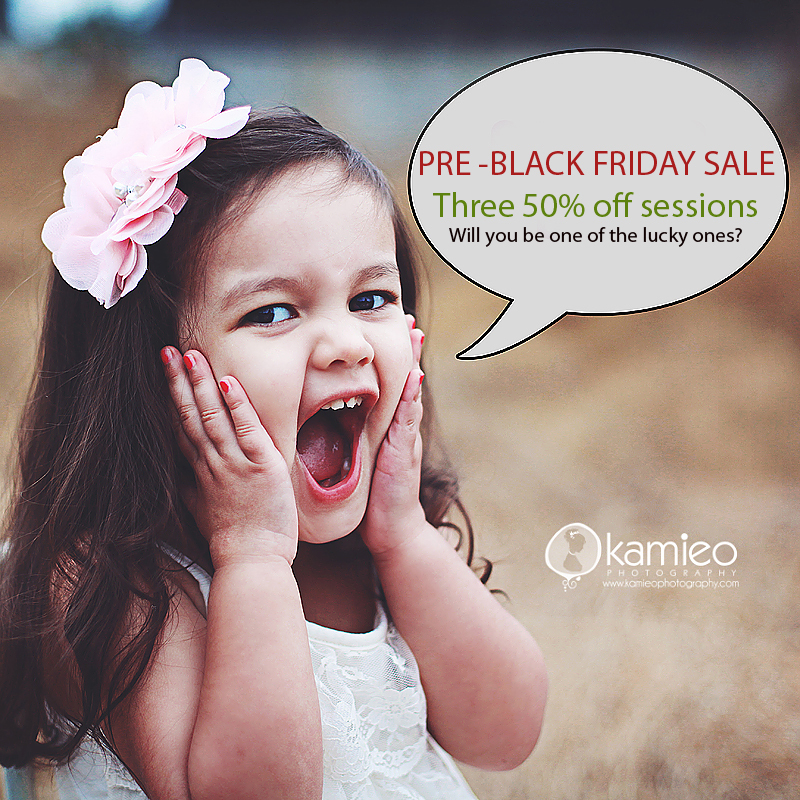 I am offering THREE sessions at 50% off. 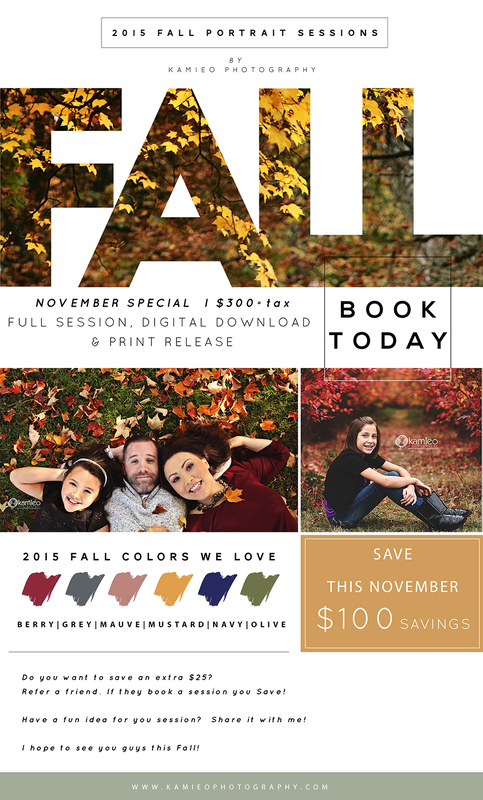 Session includes a 1 hour session and CD of images. 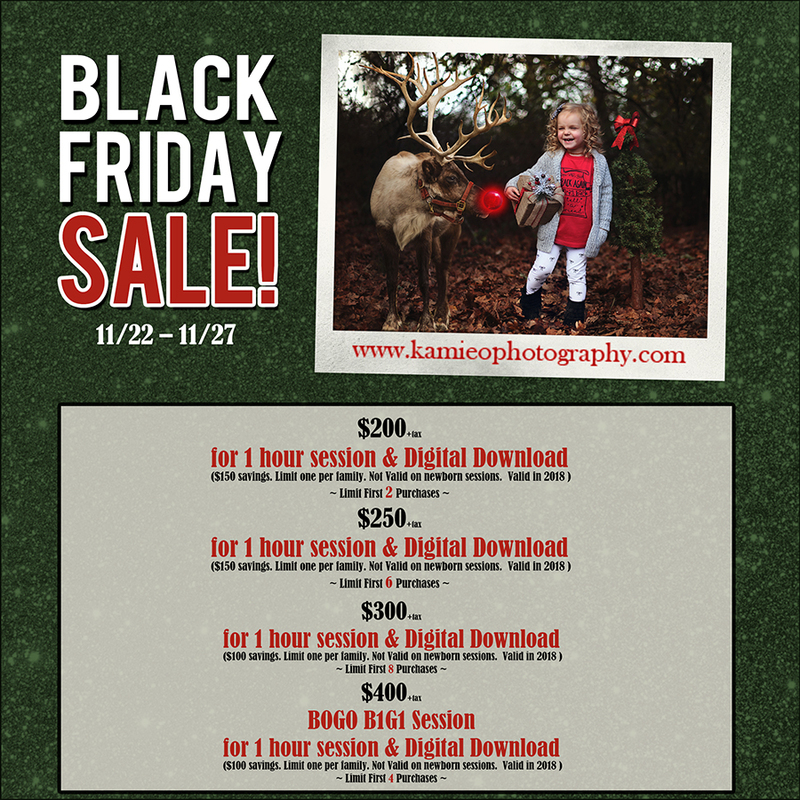 Purchase below … Limit 1 per client. 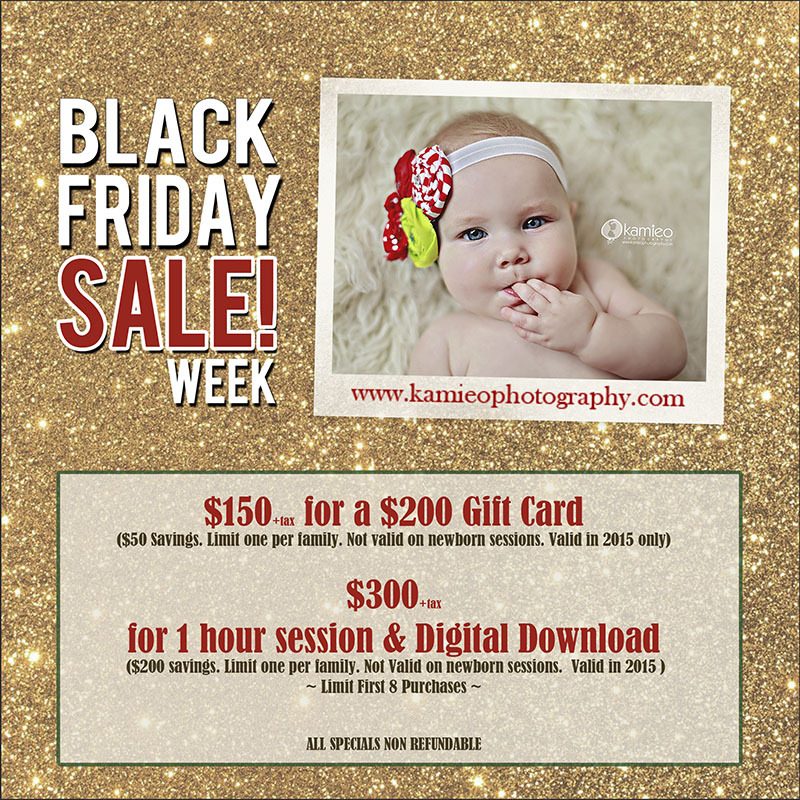 Cannot be used on a newborn session, baby plan or current booking.